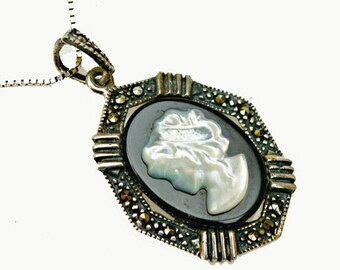 For your consideration is this stunning sterling white mother of pearl cuff bracelet. 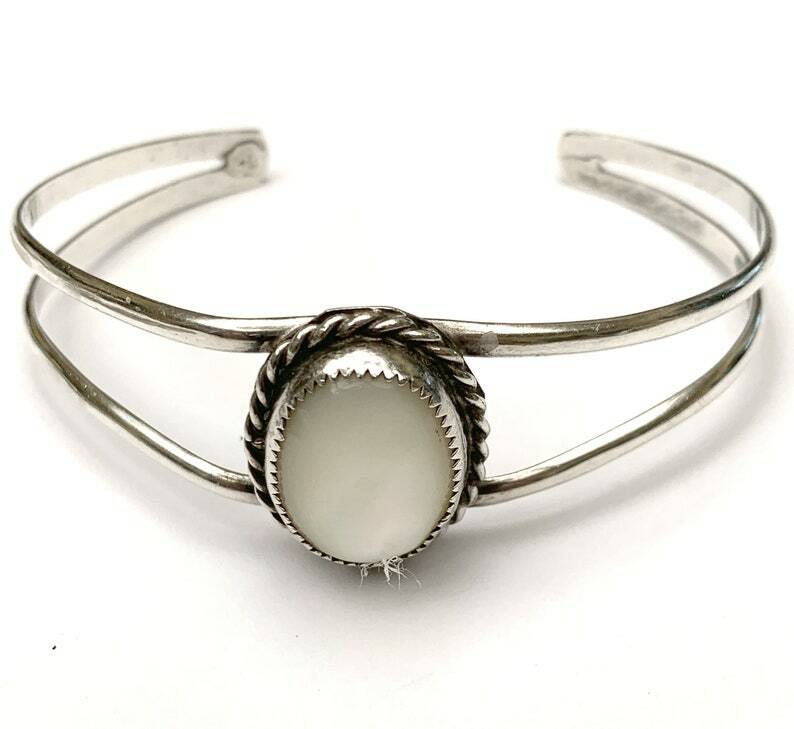 It consists of white pink mother of pearl in a sterling silver open work cuff bracelet.The shell has a twisted wire trim to it. This cuff bracelet has a front design of 1 inch x 3/4 inch the width of the cuff bracelet is 1 inches. circumference is 5 1/8 inch inches with a 1 1/4 inch gap. Fits most wrist.